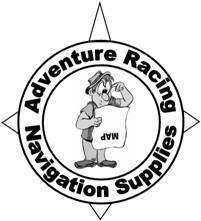 Team ARNavSupplies.com/Nomad qualifies for USARA Nationals after a 6 hour battle with the Silly Rabbits. In one of the closest races ever for the team, ARNavSupplies.com/Nomad finished 2nd in the co-ed division to qualify for the 2006 USARA National Championships. After swapping the lead several times during the race, the Rabbits finished the final kayak leg 1 minute 30 seconds ahead to win the race in what was a tough event for both teams. Read the full story below. With a position at the USARA National Championships on the line the SVS 2 race in Del Valle Park was going to be tough. We’d planned on camping at the start to save the early wake up and 2 hour drive from the City. We arrived at the camp site Friday night and met some of the other teams who had traveled from as far away as Los Angeles hoping to secure a nationals spot at this event. The rest of my teammates arrived around 7 AM. We were given the maps to start looking over the course and we spent some time planning our route. Mike Murphy of Shooting Star Adventures had planned a course that took you the whole length of the park for both bike and kayak legs as well as a trek that took in most of the southern section of the park. With the dramatic elevation changes that are found at Del Valle this was going to be a very hard day. The team for this event would be Grant Sisler doing his first SVS race of 2006. Heather Kirkby who was doing her second race ever after competing in SVS 1 and me just recovered from Ocean Blue the weekend before. As the teams were coming together we found out that the Silly Rabbits had decided to enter at the last minute. This would make things really hard for everyone. It was their full PQ team back together for the first event since Utah. There were lots of other familiar faces at the start as well as a bunch of new people. As everyone was getting their gear together there seemed to be a lot of cursing coming from Silly Rabbit Rick. Something seemed to be wrong with his bike as well as his dress sense. It was looking like a hot day and Silly Rick was wearing button down shirt and tie with Snoopy on it. With the shorts on he looked like a complete boy scout. We were busting on him but everyone else looked quiet serious. There were 2 pre race meetings before we actually got started. The first was at the kayak TA to explain the boat situation. Mike had provided a number of 2 person boats that the teams would be sharing for the kayak section. The second meeting was to cover all the rules of travel and the order for the CP’s. With a few modifications to the course and the removal of a remote CP we were ready to go. I hope everyone took good notes because there was a lot to remember about one way single track and adjustments to CP locations, including a Secret CP that wasn’t on the map but would be pointed to by a notice at one of the CP’s. As Mike had provided 2 person boats and we were a 3 person team, we’d made a deal with the solo Team BAARBD.org of Jonathan Owens to join forces and take the extra seat in one of our 2 person boats. Jonathan is an excellent navigator and super strong so we were feeling confident that this was going to be a good day. With looks of confusion still on every ones faces Mike shouted go and we were off. We had to start with the trek and as we hit the single track we had the Silly Rabbits hot on our tail. We hit the first CP spot on and headed up hill away from the CP to try and get a gap. As we made a few turns on the trail the Rabbits took the cross country route down into the canyon and appeared to take the lead. JO kept us on the trail and took a different bushwhack a little further along, this brought us out much closer to the CP and just ahead of the Rabbits again. We were all together in the canyons looking for the next CP and we all received the instructions for the Secret CP together. Everyone was running around trying to find the additional flag when JO and I decided to head up the hill. This gave us a slight advantage and we spotted the flag hidden further back in the canyon. As JO went for it he slid straight down the side of the canyon and crashed through a bunch of bushes. I tried to follow a little more carefully but this had alerted the Silly Rabbits who were close by with pricked up ears and they all came over to get the CP. This was the first of the gifts we’d hand to them like fresh lettuce and carrots. We left them scrambling down the canyon as we ran to the manned CP on the other side of the bridge. We seemed to have gapped them as we couldn’t see them behind us but we knew they’d be right there if we made a mistake. The pedometer was working really well and we were hitting CP’s spot on without having to count or time ourselves to judge distance. After the manned CP we had a long uphill slog. We were making sure Heather was doing fine in her second ever adventure race. The look on her face was priceless as she realized with a race this close there really wouldn’t be any let up in the pace for the next 5.5 hours. She had no idea who the Silly Rabbits were but was quickly finding out. Grant had Heather on the tow rope and I was carrying her pack. She was doing a fine job of maintaining the blistering pace that JO was setting. As we hit the next CP and backtracked along the trail we bumped into the Silly Rabbits coming toward us. They were less than a minute behind. We had 2 more CP’s to get on the way back to the TA. They were short out and back treks along some small canyons. There were 2 trails along the canyon one was low and the other a little higher. I was running along the trail in the canyon floor and JO took the slightly higher trail. The CP was marked on the map as only ¼ mile in but after running ½ mile and not seeing anything I told JO that we must have missed it and I turned back while he explored higher up. We noticed the rabbits were doing the same thing and Silly Rick was running in the canyon towards me. I kept running as if I’d got the CP and smiled as we passed each other. I stopped at this point and looked up at JO who had found the CP and signaled to me to move on. I looked back and saw the boy scout figure of Rick charging further down the canyon and out of sight. Higher up the hill the rest of the Silly Rabbits had found the CP but they’d lost their boy scout. They were calling for him but he was so far down the canyon looking for the CP that he couldn’t hear them. I gave a little laugh as I told the others that Rick must have thought I’d found the CP in the canyon and had kept going. The next CP was easy to find and we were now in a mad race to get back to the TA and onto the first bike section. As we came into the TA the girls were there waiting for us. We had super supporter Hailey fresh out of the lake and wide awake after her morning swim making loads of noise. We made a fast transition and were straight out on the bikes. The first part of the bike section was uphill to the high point in the park. As we started up the hill we could hear more cheering in the TA from the girls as they showed their support for the Rabbits too. Grant mentioned something about his girlfriend having to sleep on the couch for cheering/supporting those guys but knowing Grant I doubted it would happen. I was just hoping that Hailey had managed to distract them enough that we would get away. As we reached the top of the hill the Rabbits were only a few hundred yards behind us. We crossed the road at the required point and went down into the next canyon. This required some off road travel and a short stretch on a cow path. The CP was nicely hidden and the Rabbits popped up for their second piece of lettuce just as we finished punching the CP. We all came together again at the manned CP and as we were leaving Heather told us that Silly Rick had a flat! We kept the pressure on but Grant was suffering on the bike. This was unusual for him this year as he’d been so strong the week before at Ocean Blue. JO was doing monster work towing Grant on the uphill sections but we all came together again at the bike CP on the west side of the lake. We now had to ride back to the TA before we could start the second bike section and we had 8 people flying through the park. I decided that I’d just sit on the wheel of the last Rabbit and had a nice easy draft for the final mile or so. Thanks for that guys. As we got close to the TA, super supporter Hailey was out on the trail jumping up and down and running along side the teams as we all came into the TA together. Things were frantic as we reloaded with water and prepared for the next section. The Silly Rabbits smooth transition got them out about 30 seconds before us and we were now chasing them to the north end of the park. We could always see them ahead but they were getting further away as Grant started to cramp and suffer on the bike. All I can say is that I’m glad Grant fitted all the lightweight carbon components that Ritchey gave us, as towing him would have been far worse with his old bike. Thanks again to Ritchey! Heather was looking stronger and stronger on the bike. She was quite at home on these trails and was looking far more comfortable than she did on the run. At the furthest CP the Rabbits probably had a 3-4 minute lead but as we came down the mountain we could see one of them hanging further off the back of the group and we were gaining on them. As we got closer to the single track cutoff leading back to the TA we finally caught them again, but it wasn’t due to our speed. One of the Rabbits had taken another flat tire. I would never wish a flat on anyone but this lifted our hopes of a win as we took the lead again. I don’t know what Rick did to fix his flat or if he rode on the rim but they were right with us again when we hit the TA and the transition to the kayaks. I’ve never seen a flat fixed that fast but they must have done it in under a minute. We all ran down to the water and found a boat to use. Grant was having trouble with the foot pegs and was cursing the giant that had been in the boat before him. The guy must have been 7 feet tall as Grant couldn’t reach the pedals. I was frantically trying to turn the boat around from the front as we chased after JO and Heather in the other boat. With everyone back in the boats it was now a do or die trying effort to catch and pass the Silly Rabbits. They were about 100-150 yards in front of us and you could see they were suffering. At this point our boat started to swerve wildly from one side to the other as Grant’s legs cramped and pushed randomly on the rudder pedals. There was a lot of painful yelling coming from behind me but we just kept paddling. I was thinking that Grant was going to put his leg through the bottom of the boat as his quads cramped up. We were closing slightly on the Rabbits at one point but couldn’t hold the speed. Grant was telling us that they were probably cramping worse than we were and that we could still catch them. As we rounded the final point the girls were in the water and screaming encouragement. We all hobbled onto dry land and I was on the verge of puking from the effort as we limped up the bank to hand in our passport. Grant had to help Heather up the hill as her legs cramped so badly she couldn’t walk. It was a fantastic race and we’d just missed first place by a minute and 30 seconds. Both teams were at the finish line and completely wasted. We congratulated each other and everyone was shocked at how close the race was and how fast we’d all had to push for the finish. It was so much fun having such a close race compared to the usual way teams are spread out at these events. We were also happy that we were able to give the Silly Rabbits such a good run for their money. They won the event but they had to really work for it this time. ARNavSupplies.com/Nomad will be going to the USARA National Championships in November and look forward to competing against the best in the country.